How to create a new scan? 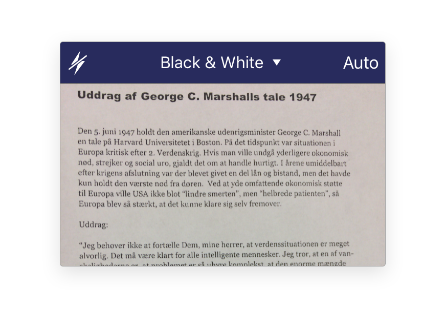 Color Document - adds brightness and contrast to the initial colored scan. Black & White Document - highlights text and contrasts areas. This mode is perfect for text documents. Color Photo - all colors of the initial scan are preserved. Grayscale Photo - leaves the initial brightness/contrast of the image, but sets the color to shades of gray.